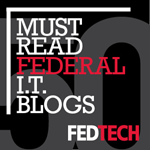 The Total CIO | Andy (Avraham) Blumenthal: Got Skills? I thought this was a very telling sign right off the highway in Washington, D.C.
"Does your child have life skills?" 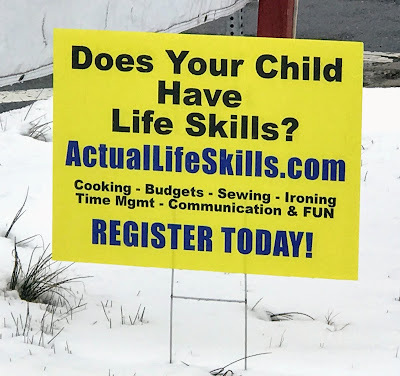 "Cooking, budgets, sewing, ironing, time managment, communication, and fun"
The classes are offered by ActualLifeSkills.com. I took a look online at what a typical 6-week class offered on Sundays for 3-hours at a time and at a cost of $345. Party/guest etiquette, gifts and thank you notes"
And of course, aside from the cooking and budgeting already mentioned, there were more of the foundations such as laundry, cleaning, and grocery shopping. I would suggest adding things like computer basics, child rearing, human relations, home maintenance, car mechanics, hunting, fishing, gardening, first-aid, fitness, and even self-defense. Since, we spend so much time teaching book skills, I have often thought why we don't spend more time teaching these fundamental life skills. We are raising a generation of kids that can score 1500+ on the SATs, but they don't know sh*t about real life and couldn't survive a week without electricity, Internet, or mom and dad taking care of them. There is no reason that we can't add these items to our broken school curriculums.